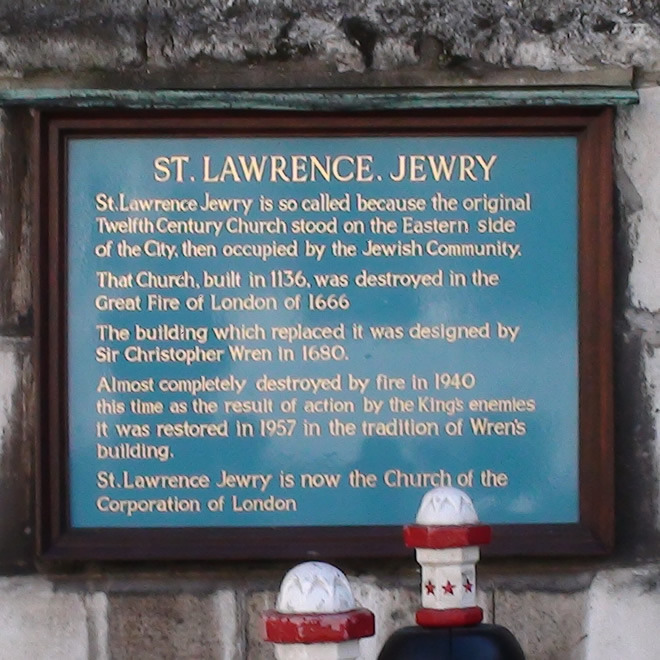 St Lawrence Jewry is so called because the original twelfth century church stood on the eastern side of the City, then occupied by the Jewish community. That church, built in 1136, was destroyed in the Great Fire of London of 1666. the building which replaced it was designed by Sir Christopher Wren in 1680. Almost completely destroyed by fire in 1940 this time as the result of action by the King's enemies, it was restored in 1957 in the tradition of Wren's building. 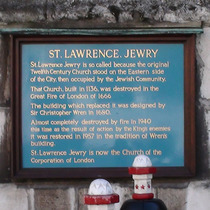 St Lawrence Jewry is now the church of the Corporation of London.